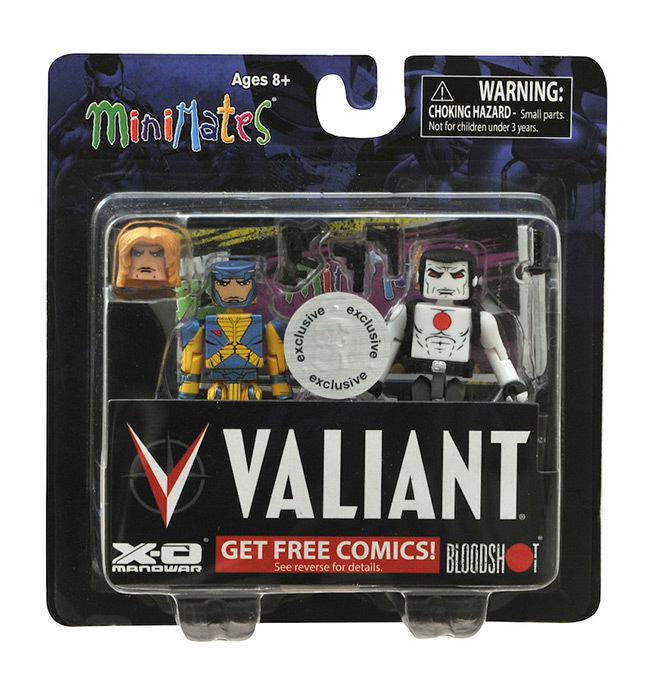 "Valiant's fans around the world have continuously requested figurines of their favorite characters," said Russell A. Brown, President of Consumer Products, Promotions, and Ad Sales for Valiant Entertainment. 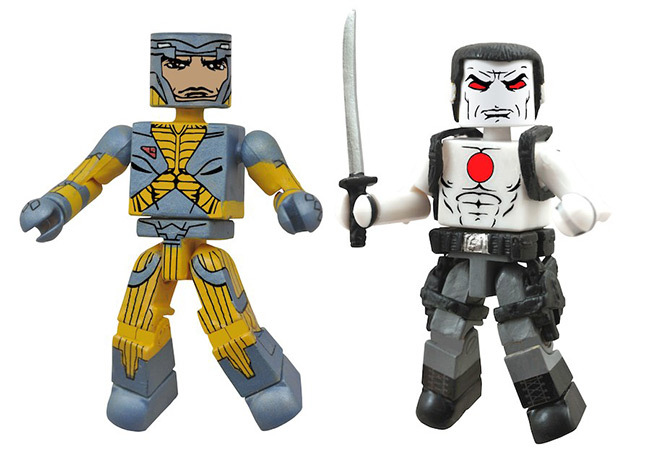 "We are thrilled to bring two of our classic heroes to Toys"R"Us for the first time with Valiant Minimates, giving fans old and new an opportunity to get to know our exciting line of characters with value added offerings. And, we are delighted to join the ranks of the top intellectual property characters to be represented in Minimates form." 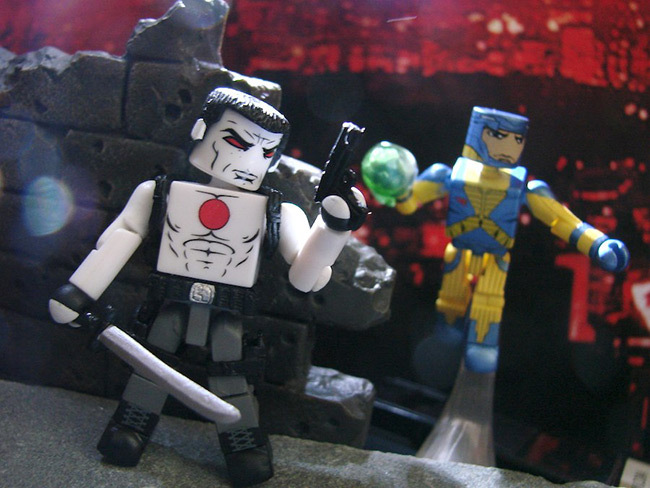 "The Valiant Universe is one of the premier comic book universes, with a history of creative storytelling, detailed character design and fantastic artwork," said Chuck Terceira, President of Diamond Select Toys. 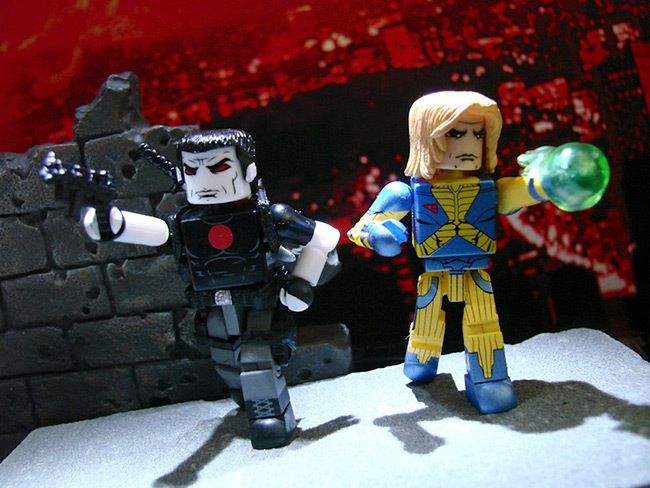 "The fact that it has not had more merchandise has always been a mystery to me, and when the opportunity arose for DST to create some of Valiant's first collectible toys, we were all excited to be on board." Brought back from the dead and infused with cutting-edge nanotechnology, Bloodshot's nanites made him a nearly unstoppable killing machine. His enhanced strength, speed, endurance and healing made him the perfect weapon, and he served his masters at Project Rising Spirit – a private contractor trafficking in violence – very well. But after defying his programming and escaping his captors, Bloodshot now fights to rediscover to the secret of his true identity – but remains haunted by the past that nearly destroyed him. 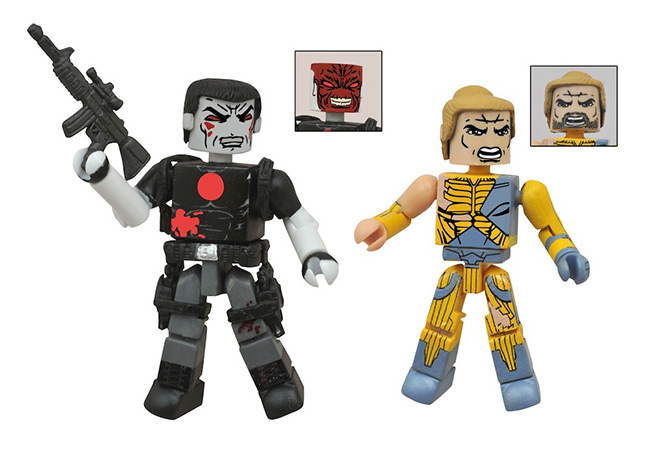 Plus, coming to comic book stores this April, don't miss the X-O Manowar and Bloodshot Minimates Battle-Damaged two-pack – a Previews-exclusive offering featuring combat-hardened alternative looks for two of most Valiant's formidable heroes, from the best-selling story arcs Harbinger Wars and Planet Death! Valiant is a leading character-based entertainment company with a library of over 2,000 characters, including X-O Manowar, Bloodshot, Shadowman, Eternal Warrior, and many more. Established in 1989, Valiant has sold over 80 million comic books, and today its characters continue to be forged in publishing, licensing, film, video games, and beyond. Since its summer 2012 relaunch, Valiant has returned to the fore as one of the most highly regarded publishers in comics, winning a 2012 Diamond Gem Award for Comic Book Publisher of the Year. Visit them online at www.ValiantUniverse.com.